Every new invention or product began as an idea in the mind of someone who had the vision and imagination to dream the impossible and turned it into a reality. 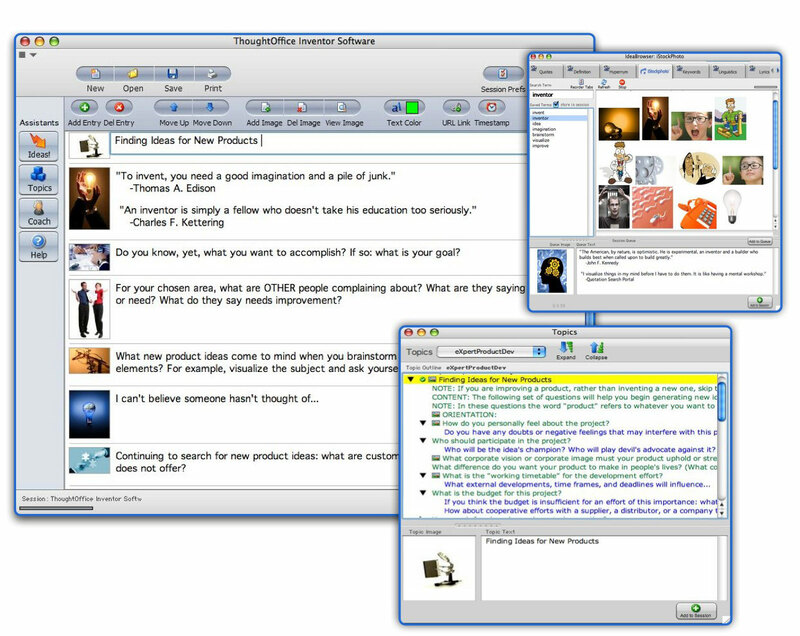 The idea begins inside of you and ThoughtOffice Inventor helps you transform your ideas into tangible products with thought – provoking questions designed to tap the knowledge you already have, take your idea, help you carve out new associations, and guide you through the entire process from conception to final delivery. 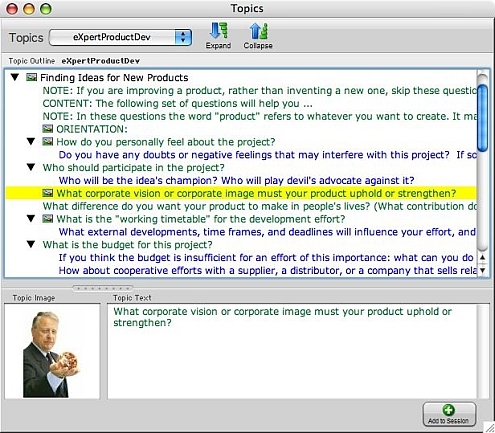 By the way, the ThoughtOffice Expert Topic modules weren’t just written by some guy in a garage somewhere. We interviewed over 200 industry leaders – MBAs, PhDs, CEOs, acknowledged domain experts – and picked their brains to find out how they solve the problems they confront every day. Then we sorted & condensed all that expertise into sixteen carefully targeted Expert Topic Modules. 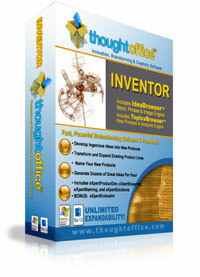 Now that instant expertise is available to you, 24 x 7, with ThoughtOffice Inventor. And ThoughtOffice has a one year, 100% guarantee. 365 days – your satisfaction totally guaranteed. We’re here to personally help you with the program, and use it effectively to develop lots of great new ideas – faster and more creatively. We’ll help you turn those ideas into valuable products & services, or we’ll update, upgrade, coach or refund to your complete satisfaction.